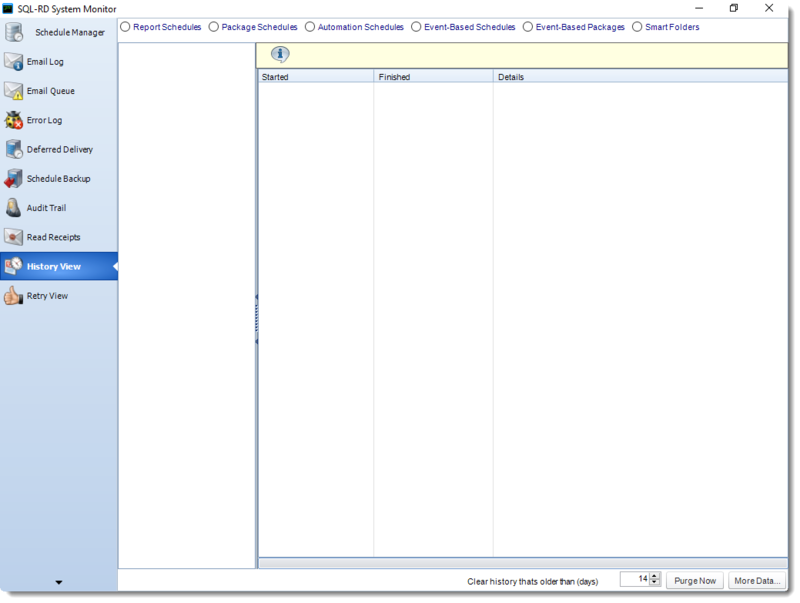 How do I see the History View of multiple SQL-RD schedules? Need to see the history of multiple schedules in one view? 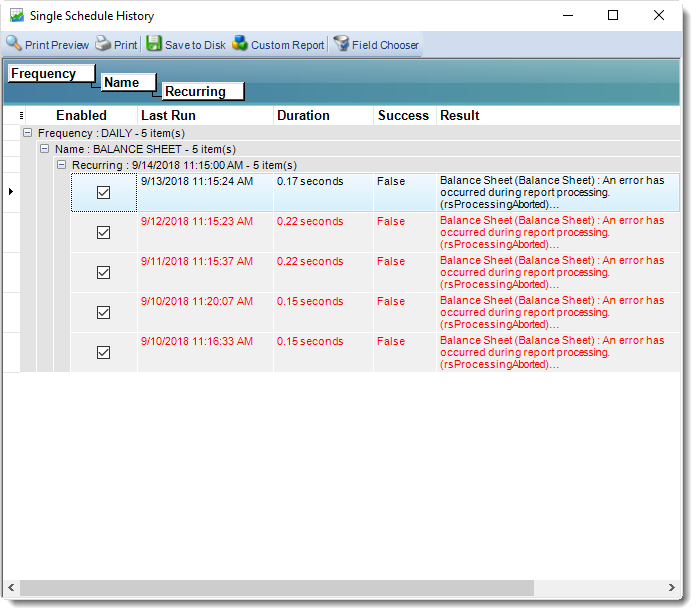 Want to export schedule history reports for analysis and/or distribution? Here's how. 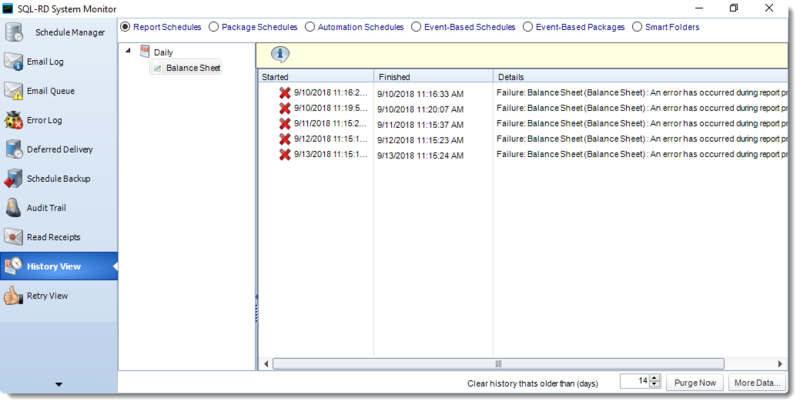 This screen shows you a history of all schedules (static and dynamic). If one destination out of many fails, the schedule will be marked as a "Partial Success." Expanding the node will reveal which reports or destinations failed. Click More data to print, save or manipulate this as a custom report.